Let's start with last Thursday night. Preparing to cover the game for Sky Sports, you're always trying to find a hook for the game, a narrative. And for Warrington it was pretty simple. Five days after a Challenge Cup final defeat, how would they be physically and mentally? Would they be able to get back on the horse as quickly as their coach Steve Price urged them to do, or would they be downbeat with tired bodies because of that loss? Or could it have been a case of taking a couple of rounds of Super 8s for the Wolves to get back into the swing of things? Those questions were sort of predicated on Hull being able to do something about it if Warrington came tired, and the visitors had nothing. They had nothing in attack. They had nothing in defence. If your attack is no good, you don't put pressure on the opposition defence and they are physically fresher in the game - I get that. But if you can't pick your first choice halves (as Hull couldn't) and you feel your attack is going to be fairly stunted, you can still defend your way through a performance, if not a victory. So notwithstanding the fact that poor attack gives the opposition more energy in their attack - which I understand - the efforts in defence from Hull were startlingly bad. I also wondered after the result what the fallout would be. Because that club is huge and I've said it loads of times in this column - how important successful Hull clubs are to the game of rugby league in this country. None of that changes. But if you're a big club and you lose 80-10, you expect a big reaction. 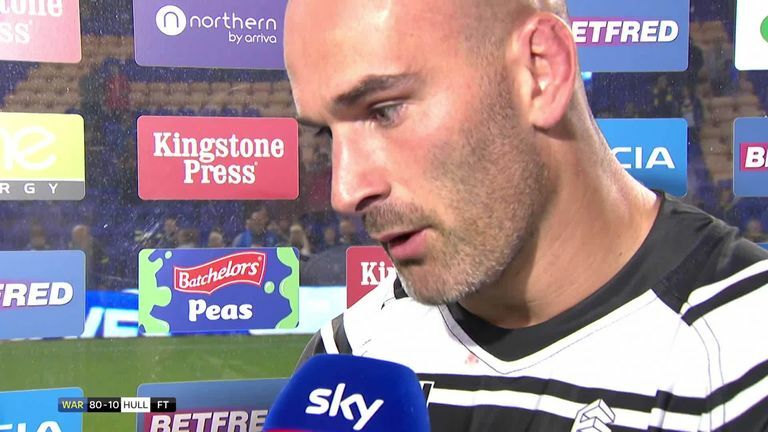 Danny Houghton said post-match he and his team-mates were in a dark place. 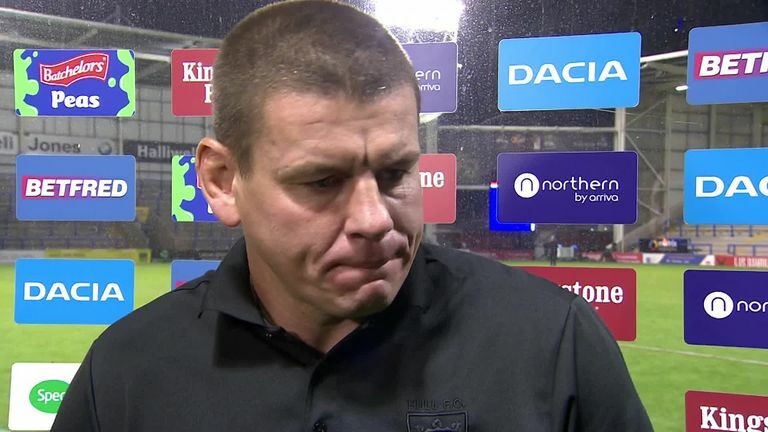 Lee Radford was a picture of internal rage in his post-match interview with Angela Powers. He did mention though that Adam Pearson had said something to the players as they came back onto the field at half-time. Radford let slip when asked how Pearson would take the defeat, answering: "Not well, he plucked a few of the players coming out at half-time…" Which is an extraordinary move. An owner of the club coming down pitch side to blast the players is quite the action. But he didn't leave it at that. In an interview given the next day, he suggested that players would be shipped out the door because of that result and recent performances - remember this is Hull's seventh consecutive Super League defeat. He promised recruitment, mentioning "three or four proper signings" in by January. And this is from a club who, not that long ago, drew a line through any recruitment plan saying: "We're happy with what we have. We've resigned all the players we want to keep and we won't be bringing anyone else in." Well if that's the case, suddenly trying to get players who are on contract out of your club is not an easy job. And bringing in fresh faces late is not easy either. So I guess time will tell whether it was just an emotive reaction to a result or if Adam is genuinely going to inject fresh blood into a squad that is rolling over and having its belly ticked as the season ends. Time will tell. But what I did get from his words is that everybody at the club is on notice. And beware a repeat performance. Johnathan Thurston bowed out last weekend against the Parramatta Eels in a performance that typified the champion he is. With the Cowboys already out of the running to make the top eight after what had been a difficult season on the field for both them as a collective and Thurston as an individual, he dug deep into his locker to come up with hugely important plays in a victory for the visitors of tropical North Queensland. I suppose we shouldn't have been surprised that one of the great champions in the history of this game would be able to do that as he says goodbye. I've loved watching Thurston play. As ferocious a competitor as you could imagine and someone whose body you felt was being pushed physically to the extreme all the time. Incredible with the ball, resilient without it. When the Cowboys came to these shores in 2016 to play the World Club Challenge against the Leeds Rhinos, I've heard from countless fans how they went to the game not to see Leeds perhaps lift the World Club Challenge, not to see a great NRL side in the Cowboys in action, but to witness in the flesh an appearance by Johnathan Thurston. Very, very few sportsmen or sportswomen in the world ever have that said about them. He was a joy to watch and his story from the 'rascal' at the Canterbury Bulldogs to the elder statesman idol of the Cowboys has been a marvellous transformation. He has enthusiasm, an infectious personality and a deep love of his family that he never hides away. Thurston is a superstar, knows what it means to be a superstar and acts like a superstar. Nobody was irrelevant to him if they wanted an autograph or to shake his hand. And his behaviour should be something that all rugby league players aspire to. Lucky people played with him, some 'unlucky' players had to face him. But whether friend or foe on the field, I think I'd be right to say everybody loves Johnathan Thurston. 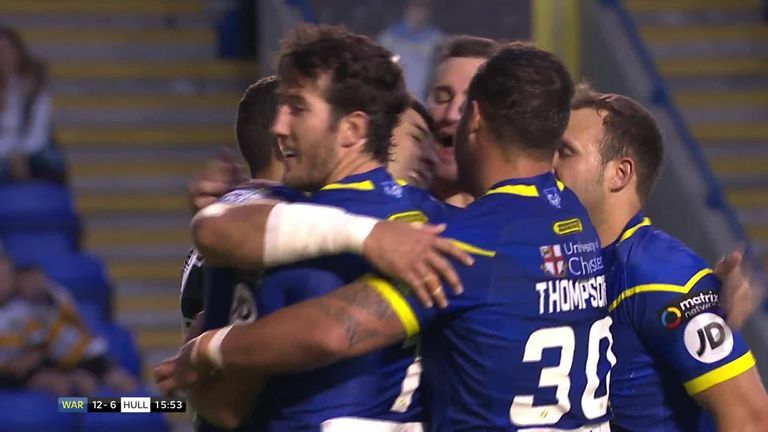 International rugby league on course for embarrassment? Word filtered through from New Zealand last week that Moore Sports International, the promoters behind the Denver Tests and organisation given the rights to host the 2025 Rugby League World Cup, had missed an extended deadline to pay the NZRL monies due. We understand the monies due to the RFL have not been paid in their entirety either. This is an incredibly embarrassing situation that the sport now finds itself in. And I say the sport, because instances like this are damaging to the sport as a whole. Two governing bodies that agreed a three-year deal to play Test matches in America now look like they have to rethink those plans. Okay, we can deal with that. But when we give the rights to the 2025 RLWC to a company that subsequently finds itself in this position, we could leave ourselves open to ridicule - we being the game. Admittedly there is a lot of time between now and the next World Cup and this situation may be resolved. But if it's not resolved satisfactorily and if the venue for 2025 World Cup has to be re-examined, that is, to put it bluntly, a hugely embarrassing position. What now if this can't be rescued? What now to the award of the World Cup? What now for plans of expansion into North America? There are some serious questions to be asked and answered. What looks like the collapse of the Denver Tests may make some people very uncomfortable.